This is my first time making a reference sheet for my original species, but I wanted to give out as much info as I can about them. So, I'm a tiny bit nervous about this just cause I know there's soooo many flower species out there on dA, but hopefully this is unique enough I won't have to worry. I'm honestly so proud of myself for making these though, I put a lot of thought into them and want them to be a bit more of a complicated species compared to my other species, Furutsunomimis. 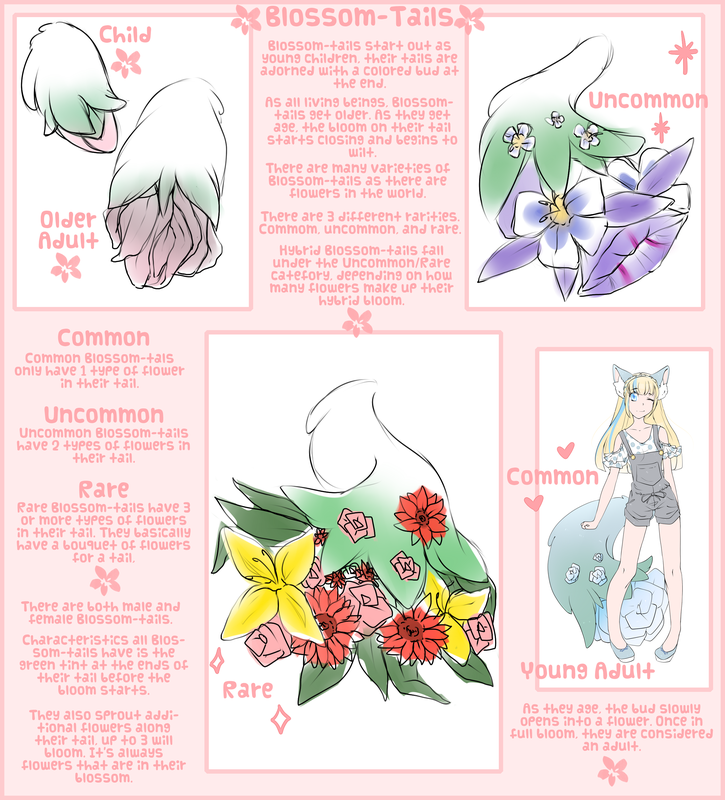 I wanted to give them different stages in life that was reflected through their flowers along with different rarities since my other species only had common/rare categories. I do plan on offering customs eventually, but I just created them and need a bit of time to get them sorted out.